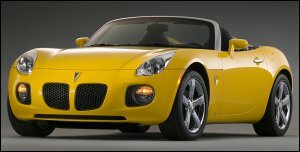 GM Meets With Renault And Nissan - Cars! Cars! Cars! Hey, mebbe GM'll find some passion from the Japanese. (Don't know about Renault -- it's been a long time since the R5.) Hell, my grandfather worked his entire career at GM Steering Gear in Saginaw -- I'd truly like to see the General come around. I don't know waht it's going to take but right now they better be ready to try anything.